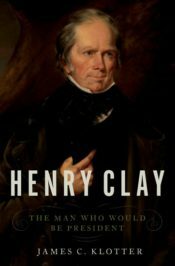 Henry Clay was not perfect. He could be harsh in his criticisms—he called Andrew Jackson “ignorant, passionate, hypocritical, corrupt, and easily swayed by the basest men” (Jackson, in turn, termed his enemy Clay “the basest, meanest scoundrel that ever disgraced the image of his god”). Clay made political mistakes, owned slaves, fought duels, had a reputation for gambling and drinking too much, and more. Perhaps some of those reasons were why he never became president. Three times he sought the office; three times he was defeated. Twice more he was runner-up for his party’s nomination. But his success lies less in the races he ran than in the life he lived and his service to the nation. Clay succeeded as Speaker of the US House of Representatives, Secretary of State, leader of his party in the Senate, and as “The Great Compromiser.” But most of all, he was a political model for generations. In that capacity, his words speak to us still. 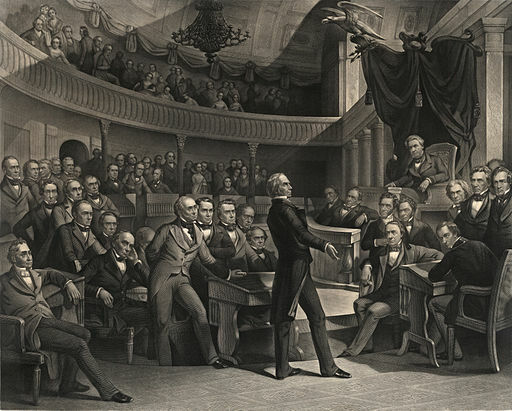 Henry Clay, “the Great Compromiser,” introduces the Compromise of 1850 in his last significant act as a senator. Credit: “The United States Senate, A.D. 1850” drawn by Peter F. Rothermel / engraved by Robert Whitechurch (1814-ca. 1880). Public domain via Wikimedia Commons. Featured image credit: “sparkler-usa-american-flag-united-839806” by Free-Photos. CC0 via Pixabay. James C. Klotter is Professor of History at Georgetown College and State Historian of Kentucky. The prize-winning author, coauthor, or editor of some eighteen books, he was the executive director of the Kentucky Historical Society for many years.